Huge Savings Item! Free Shipping Included! 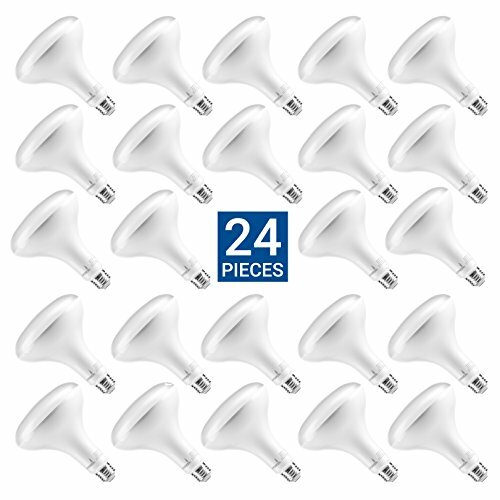 Save 19% on the Hyperikon BR40 LED Bulb Dimmable, 15W (100W Equivalent), 1340lm, 4000K (Daylight Glow), CRI 90+, Wide Flood Bulb, Medium Base E26, UL & ENERGY STAR - Great for Patio, Kitchen, Rooms (24 Pack) by Hyperikon at Blog Free Here. MPN: 402000403-24Pack. Hurry! Limited time offer. Offer valid only while supplies last. MAKE THE SWITCH - Upgrade to Hyperikon LED Lighting and experience your space in a new way with brighter light that's environmentally friendly. CRI90+ ENHANCE TRUE COLORS - Hyperikon's CRI90+ technology provides near-sunlight quality light for true color rendering and consistency inside your home. Have sunlight on a cloudy day! UNMATCHED PERFORMANCE - Hyperikon BR40 LED Bulbs will transform your space with 1300+ lumens of light and hold up against daily life.